Product prices and availability are accurate as of 2019-04-20 10:31:50 EDT and are subject to change. Any price and availability information displayed on http://www.amazon.com/ at the time of purchase will apply to the purchase of this product. 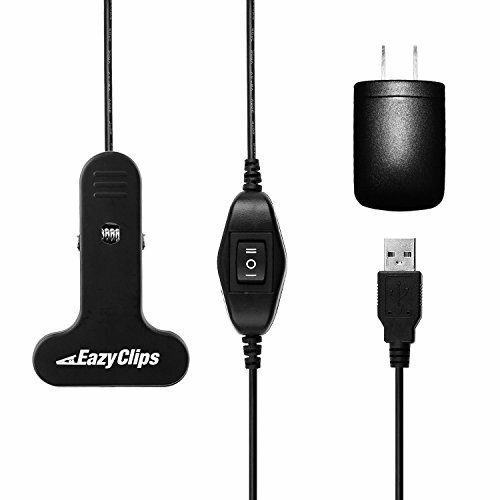 EazyClips is home to the easiest and strongest clip-on products. The newly crafted EazyClips LED clip-on desk lamp was architected to lighten up your life through its carefully engineered design. Its features come together to produce the most powerful clamp lamp on the market. 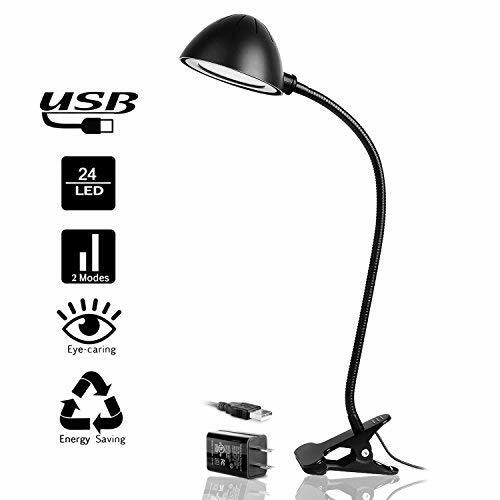 Features: EazyClips LED clip-on desk lamp is equipped with 6 bright leds that will produce a radiant 6000K luminous white light, making it the brightest LED desk lamp. 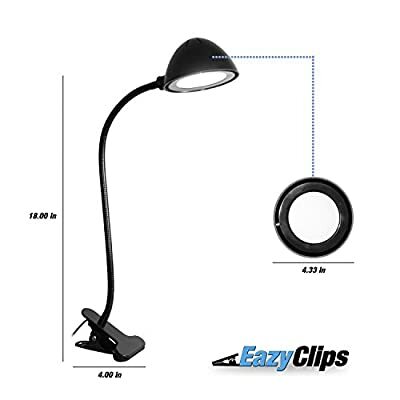 If you are using it at your work-desk or as a reading light for bed time, you can easily alternate between its 2 modes of intensity.Eazyclips LED clip-on desk lamp is built with a USB connector to be used in any USB host, or simply used with the provided USB wall Adapter.Eazyclips LED clip-on desk lamp was crafted to be convenient for all your daily occupations. It's structure is perfectly engineered to meet your needs. It's adjustable 18 inch sturdy goose-neck gives you a 360° range of maneuverability to maintain any position you desire. It is ideally used as a headboard lamp/bed clip lamp, and can be effective for college students as a desk table lamp. 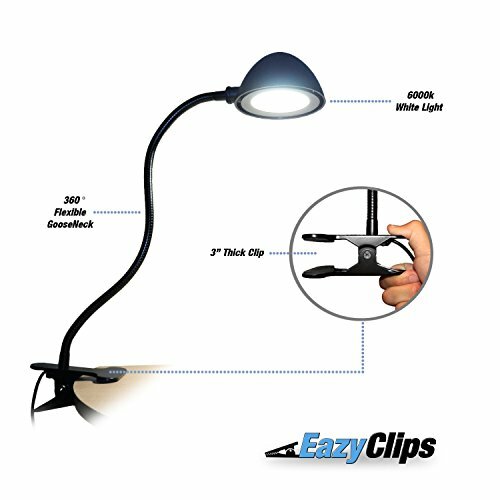 With EazyClips LED clip-on lamp, you can be assured to benefit from the versatility and ease that the 3 inch thick clip-on provides you to fit any surface.